A new episode has been released in the Conversations in Development podcast series. The podcast has explored a range of issues from the development field such as child labour, urbanisation and microfinance. The latest episode, however, takes a different angle and hosts Veronica Nou, a migrant entrepreneur and refugee advocate, to discuss her refugee journey from Cambodia to Australia. 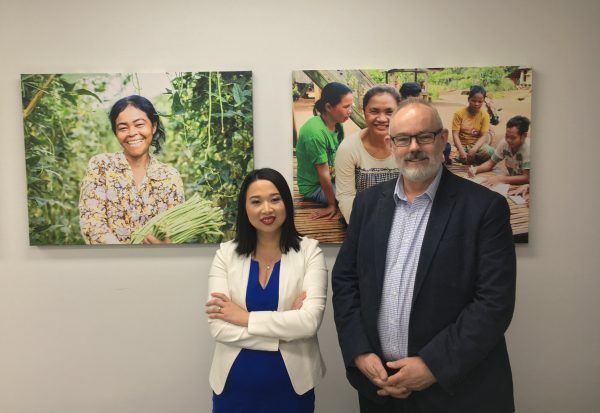 The episode, Cambodia to Cabramatta: A refugee journey, was released on Monday 15 April and Veronica appears alongside Cufa CEO and podcast host, Dr Peter Mason. Understanding the drivers behind development issues is imperative to organisations engaging in the field of work. In this episode, Veronica tells us about her journey, how she came to Australia after her family fled the Cambodian Genocide and following Vietnamese occupation. She shares her experiences fleeing the country and arriving in Australia, living in abject poverty through her childhood and becoming a business owner. Now in her spare time, Veronica has set her sights on advocacy work and is a National Convener of the group Mums 4 Refugees, fighting for humane treatment of refugees and asylum seekers. Veronica Nou is a pharmacist and proprietor of two pharmacies in Western Sydney. Veronica was born in Cambodia during the time of the Khmer Rouge and her family fled the country, arriving in Australia in 1991 by way of refugee camps. After earning a scholarship at a private girl’s school, Veronica overcame a tough start in Australia to complete a Bachelor of Pharmacy at the University of Sydney. She now dedicates her spare time to speaking out about refugee advocacy. Listen to the latest episode with Veronica or get up to date with the podcast by listening to previous episodes. Simply search “Conversations in Development” into Apple Podcasts or your favourite streaming service. 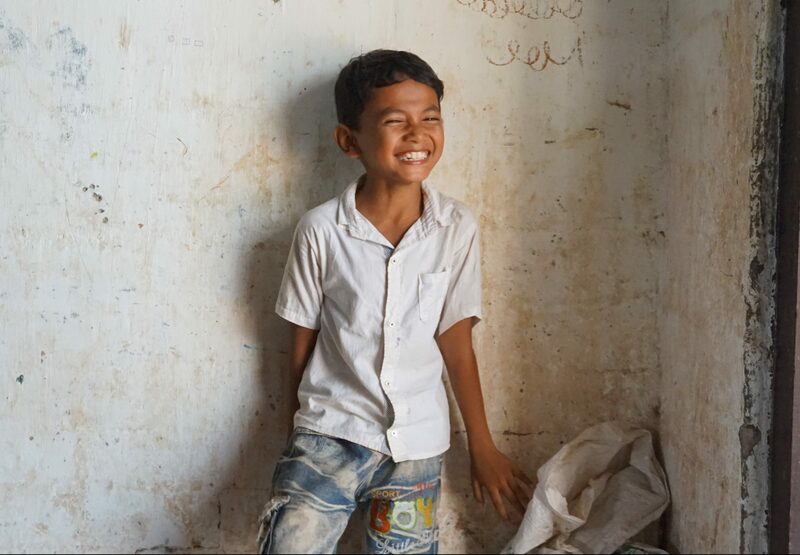 Episode 11, Cambodia to Cabramatta: A refugee journey streaming from Monday 15 April 2019. People use high-profile aid failures as a weapon to rail against aid expenditure. Rather than arguing that aid has failed, it might be more useful to critique how it is delivered, who is delivering it and the accountability mechanisms in place. The mechanism of aid is not at fault, it is the way it is deployed that is sometimes problematic. There are many channels of aid delivery, such as through bilateral and multilateral cooperation agreements, through intermediary banks such as the Asian Development and the World Bank or through local or international NGOs. Each of these delivery mechanisms has an agenda and a reason for their engagement. International or local NGOs may have a humanitarian, philosophical or faith-based rationale for their engagement, whereas bilateral engagement may be for geopolitical purposes. Regardless of the rationale it is all lumped into the one term of “aid”. If we are to explore the concept of aid failure we need to unpack it to understand the location of the failure. If you have a leaking pipe you don’t necessarily replace all your plumbing, you analyse where the leak is coming from and change out the offending leaking pipe. Likewise, if there are components of the aid sector that are not working and not achieving the impact that the Australian public as stakeholders demand and deserve, it should be addressed in a similar manner. The Australian public works hard to pay their taxes and need to be assured that the funding that is given for a specific purpose actually achieves the stated objectives, not necessarily because they want economic efficiency but because as a society they believe in helping where they can and don’t like to see the suffering of others. So if aid is designed to alleviate poverty the Australian public should expect the expenditure of aid dollars to result in tangible impacts. Aid can create dependency, it can create structural power issues and it can be less effective without coordination between the various agencies, governments and civil society. The perception of failure also occurs when inadequate time has been given to achieving the desired results or when aid is commercialised inappropriately. Showering of aid on recipient countries can do a lot of harm and manufacture dependence, Malawi is a great example whereby in 2012 they were given 1.17 billion dollars equating to 28% of the country’s gross national income. This led to corruption within the government and the attempted killings of investigators. While Malawi still gets substantial aid there is now an attempt to keep it out of the government hands. In many cases, the flow of aid through governments that are less accountable to their people creates power and economic structures that inhibit the ability of people to help themselves. The poor don’t pull themselves out of poverty because the ability to do this is not available to them. For example, the infrastructure in places such as Bougainville and Timor Leste is poor, farmers can produce crops and goods but roads and transport is so poor that they can’t get their products to market. While the latest report on the Global Partnership for Effective Development Cooperation (GPEDC) argues that with only 51% of aid being channelled through the recipient countries own state systems is a poor result, the question must be asked is it always a good investment? The development sector and I include all actors, have a strong desire to do good work, but this is sometimes compromised by the competitive nature of raising and accessing funds. There is a substantial lack of coordination between aid agencies, governments as well as multi and unilateral agencies. It is not that there isn’t a desire to do better, it’s just hard to do, it is hard to fit together with each actor’s agenda and programs or to modify what has already been planned. Given the chase for the donor dollar is competitive, be that at an NFP agency level or a multilateral level, the culture of the organisations tend to be very guarded and therefore in any coordination efforts, the sharing of resources or information and the willingness to adapt programs or even agendas becomes problematic. Aid also fails when there is inadequate time to achieve results and when assumptions about the people being helped are wrong. The variables are vast and often the voice of the local people is left out of the decision making. There is an unequal relationship whereby timeframes are agreed to under the duress of not receiving the funding. The mobilisation and empowerment of civil society are being further compromised by the movement of aid away from civil society to that of the private sector. The power structures inhibiting people to lift themselves out of poverty are further compounded by corporate interests in keeping wages low and labour rights suppressed. We now see aid being used to counter the achievement of universal human rights, higher levels of education and access to health care in the name of achieving structural or macro-economic development. As Winnie Byanyima, Executive Director at Oxfam has argued, “Development cooperation between nations is very important because it is one of the building blocks of shared peace, prosperity and human rights for all.” It is a counter to nationalism, closed borders, hatred and xenophobia. Most Australians in one way or another contribute to aid so we need to be active in identifying how we can achieve better results not only from an economic approach, (although we should always strive to achieve the most with our resources) but with an eye on the future. As the World Bank stated, "Development that meets the needs of the present without compromising the ability of future generations to meet their own needs." 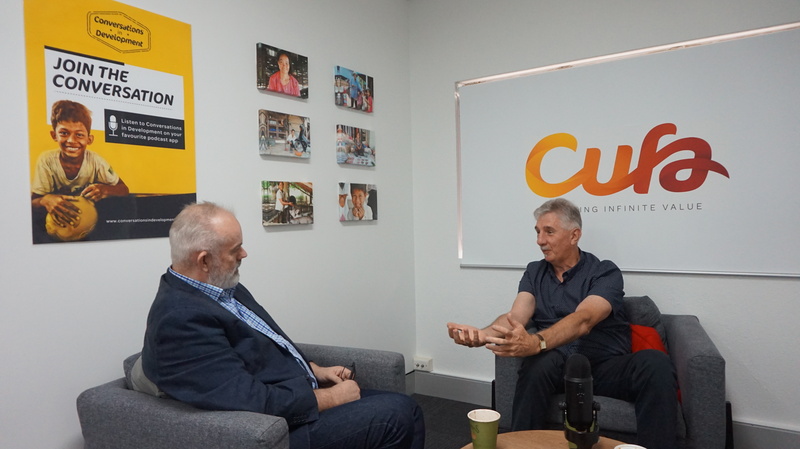 Dr Peter Mason is the CEO of Cufa and host of the podcast, Conversations In Development. The podcast explores a range of topics in the development field ranging from child labour to voluntourism and microfinance. The first episode, Blurring the lines between good intentions and good business, focuses on the increasingly common business interests associated with foreign aid, blurring the line between philanthropy and financial gain. Learn more about this episode and listen today! 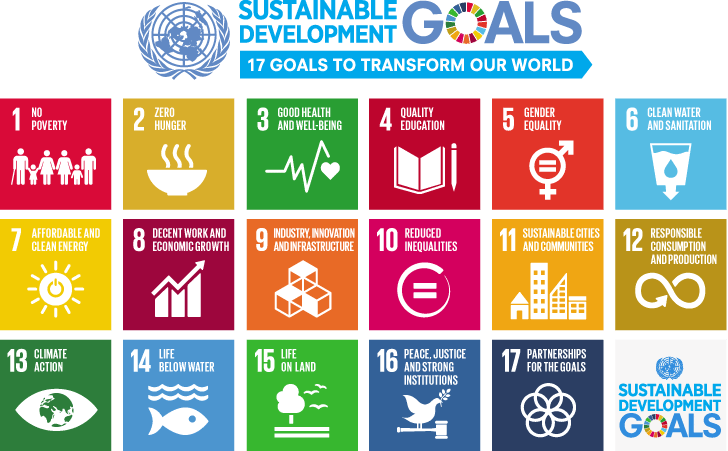 The 17 sustainable development goals are a set of global goals established by the United Nationals General Assembly in 2015 for the year 2030. The goals are broad and interdependent, yet each has a separate list of targets to achieve. Achieving all 169 targets would signal to accomplish all 17 goals. The goals cover social, economic and environmental development issues including poverty, hunger, health, education, gender equality, clean water, sanitation, affordable energy, decent work, inequality, urbanization, global warming, environment, social justice and peace. Why should we concentrate on sustainable development programs? As sustainable development focuses on creating change for current and future generations it means that there will be fewer people relying on assistance in the long term. Developing programs in which you promote self-determination, a trait that is easily passed on through generations, not only improves the lives of those families but also improves the local community and national economy. Imparting people with education and skills helps reduce reliance on handouts and creates brighter futures for not only current but also future generations. Why does Cufa do it? At Cufa we believe in a hand up not a handout. Our vision is for the communities of the Asia-Pacific to be free from poverty through economic development and self-determination. We are committed to achieving this through grassroots programs that focus on education, empowerment, entrepreneurship and financial institutions. Thus, our programs provide a range of ways for people to create better incomes for themselves, breaking free from poverty and helping them and their children to achieve the remaining sustainable development goals. How does Cufa do it? Over 90% of contributions to Cufa go directly into local communities where they are used to build financial institutions like credit unions, giving the most disadvantaged people a safe and affordable place to save their money. Credit union staff and members are then taught vital financial literacy skills, equipping them with the tools to save and handle their finances. Loans and savings groups are also made available at credit unions so that people can start their own small business, with Cufa project officers teaching the crucial business skills for these businesses to become successful. Imparting these skills, knowledge and financial access provides people with a hand up, not a handout, a livelihood that can be passed on to future generations to break the poverty cycle. Learn more about Cufa’s programs that foster sustainable development. Financial literacy is the combination of financial, credit and debt management and the knowledge that assists us in making fiscally responsible decisions. A financial education can differ from country to country but includes an understanding of how a bank account works, what credit means and how to use it and most importantly how to avoid debt. The importance of financial literacy cannot be understated as it develops our ability to negotiate the financial landscape, manage risks and avoid financial pitfalls. 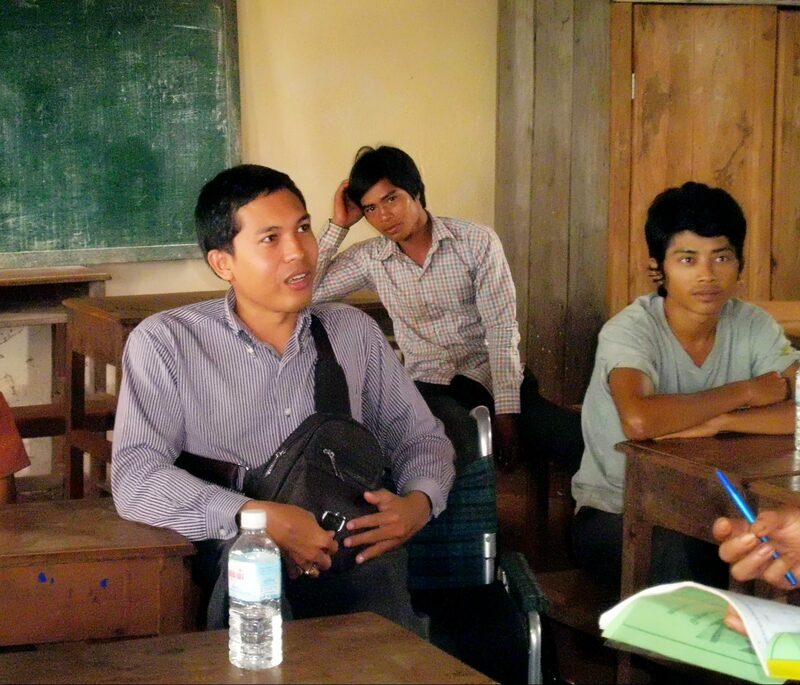 Generally, less-educated and low-income consumers tend to be less financially literate and countries where the rate of poverty is quite high, for example, Cambodia tend to have very low financial literacy rates. Thus, if you do not know how to save money, make a financial plan, understand credit and many more financial skills, it will be very difficult for you and your children to break the poverty cycle. Cufa believes that a quality financial literacy to be one of four core pillars in empowering people to break the poverty cycle, not only for themselves but also for their children and their children. For many people, their means of finding a way out of poverty are limited by their incomplete understanding of basic financial concepts and ideas. Financial education is not just important for helping save for the future, it also helps effectively understand and make better financial decisions. This prevents people from obtaining unsustainable debts that can often push people further into poverty due to the lack of income generation and financial education. Many of Cufa’s programs educate participants about financial literacy. Lessons are provided and delivered through a variety of different mediums for the most effective knowledge retention. Due to this, a strong basis for localised economic development is created and provides people with the tools to lift themselves from poverty. Cufa teaches financial literacy with the aim to educate all members of communities, regardless of age, gender or ethnicity. The knowledge and impact of a financial education can, therefore, be passed on for future generations. The Conversations in Development podcast is preparing to release another episode, delving into urbanisation as an issue in development. So far the podcast has taken on a range of different issues from voluntourism to child labour and sport and development. This episode, Urbanisation – Building better cities, will be released on Monday 11 March with Dr Paul Jones of the University of Sydney appearing as the expert guest, alongside Cufa CEO and podcast host, Dr Peter Mason. After beginning with a simple definition of urbanisation and explanation of the issues surrounding urban development, the episode explores a variety of examples and case studies from Kiribati in the Pacific to Bandung in Indonesia. Together Paul and Peter discuss what it is like to work in these environments, what challenges they pose and what we can learn from them in developing many of our cities in Australia. Paul unpacks our understanding of the contemporary city and how our education system can adapt to teach the minds of tomorrow. Paul Jones is an associate professor at the University of Sydney. 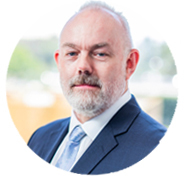 Paul has 30 years of professional experience in developing sustainable urban management, development and planning solutions in Australia and overseas. Within this experience, he has worked across Asia and the Pacific and spent over 8 years living in Kiribati as their first urban development planner. Along with his position at the University of Sydney where he teaches a range of subjects he also runs overseas workshops, providing field experience and works with development agencies such as UN Habitat, ADB, UNESCAP and formerly AusAID. Get up to date with the podcast by listening to previous episodes. Simply search “Conversations in Development” into Apple Podcasts or your favourite streaming service. Episode 10, Urbanisation – Building better cities streaming from Monday 11 March 2019. Financial Inclusion for Women, Why is it Important? Financial inclusion is where individuals and businesses have access to useful and affordable financial products and services that meet their needs and are delivered in a sustainable way. Financial inclusion for women is a key enabler in reducing poverty and boosting prosperity. Here at Cufa, we focus on the most disadvantaged rural communities where we find women need the most assistance and thus, many of our programs focus on providing them financial products, training and education, forming the entrepreneurs of tomorrow. What is financial Inclusion and how does it help women? Obtaining access to a bank account is the first step towards financial inclusion. This access facilitates day-to-day living and helps both families and businesses plan for the future. As an account holder, people are more likely to begin using other services like loans and insurance, expanding their earning potential by investing in business, education and risk management. Great strides have been made worldwide with 1.2 billion people gaining a bank account since 2011 and now 69% of adults have a bank account. However, there are still over 1 billion women that are unbanked. Why is it important to empower women with financial inclusion? Investing in women’s economic empowerment sets a direct path towards gender equality, poverty eradication and inclusive economic growth. Women make vast contributions to economies whether it is in business, agriculture, as entrepreneurs or in unpaid work such as care at home. Basically, when more women work, economies grow. It is estimated that gender gaps can cost an economy over 15% of GDP. How does Cufa provide women with financial inclusion? Many of Cufa’s programs focus on empowering women. 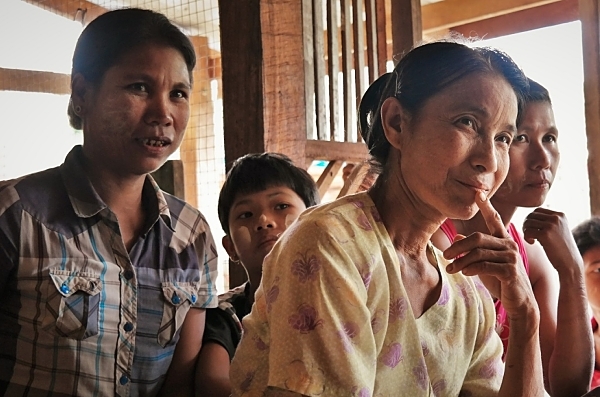 The Female Financial Empowerment program in Myanmar has a sole focus on providing financial inclusion for women through support, financial services and business skills. Members gain access to a savings account and microfinance and are taught financial literacy and a variety of business skills alongside a leadership skills workshop. If you would like to find out more about some of our amazing programs that empower women you can here.